Precision Nutrition Approved: Our favorite nutritional supplements. Although we're a nutrition coaching and certification company, we get a lot of questions about supplements. So here we outline some of our favorites. We don't sell nutritional supplements at Precision Nutrition. However, since a great deal of our time is spent answering questions about them, we created this resource to help you locate some of the brands we've researched intensively, tried ourselves, and had success with. For more information about how to use these supplements, pick up a copy of our Precision Nutrition System or consider Precision Nutrition Personal Coaching. And for more information about how to purchase these supplements, please contact the manufacturers or distributors directly by clicking any of the links below. We use the products below with our clients and don't hesitate to say that they come from reputable companies and taste great. If you're going to use a protein supplement, 40g/day is a good amount while 80g/day should represent an upper limit of supplemental protein intake. Of course, protein supplements should never be used as one's exclusive protein source. This whey protein formula is produced through an ion-exchanged, ultra filtration process that yields the highest level of protein and amino acids while preserving all the naturally occurring, immune enhancing and muscle nourishing bioactives. 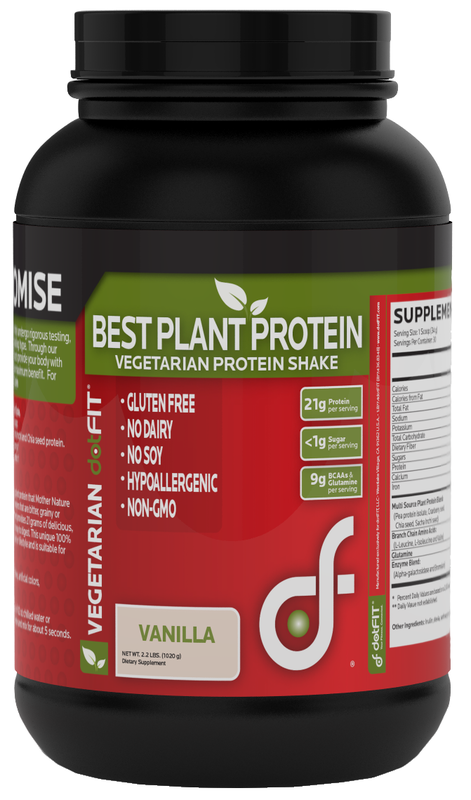 This is an excellent-tasting plant-based protein. Unlike many other plant protein powders that are bitter, grainy or chalky each serving of this proprietary blend provides 21 grams of tasty protein that's easy to digest. Another excellent whey protein choice that's sourced from cows not treated with hormones and is cold-filtered to reduce the risk of denaturing its proteins. Contains no artificial flavors, colors, or sweeteners and comes in chocolate or vanilla. Another excellent plant-based protein source; it's a great-tasting, dairy-free, vegan protein using a blend of rice and pea proteins. The result is a protein powder with an amino acid combination that closely resembles whey. This is an all-natural, hormone-free, milk protein blend that tastes really good. It's one of our favorites and makes a thick, tasty milkshake. 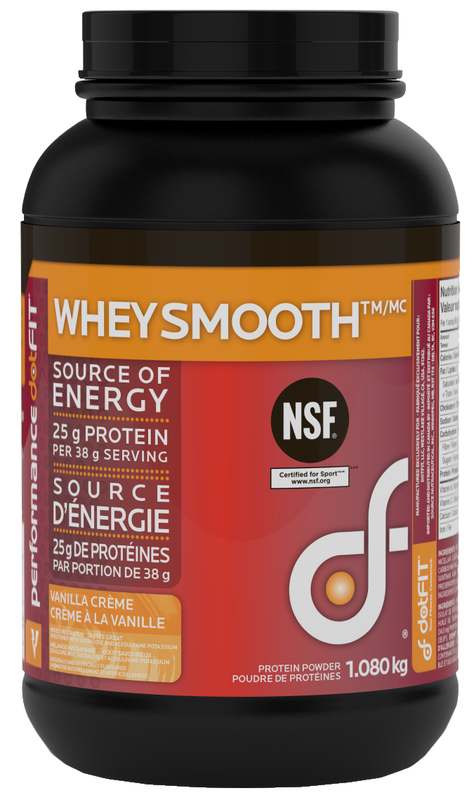 An excellent, high quality whey isolate protein supplement with digestive enzymes and no artificial ingredients, from Canada's most trusted nutritional supplement company. Another excellent protein blend from Genuine Health. Contains 5 veggie protein sources, 8 essential amino acids, vitamins & minerals, and no animal products whatsoever. While greens can't replace a diet sufficient in vegetables, the blend of antioxidants, enzymes, phytonutrients, vitamins and minerals in these products can be extremely helpful. Adding a serving of greens to every protein shake you drink is a good strategy. Further, when on the road, greens can really come in handy. The best, most research-proven greens product on the market today. If exercise performance is important to you, workout supplements can help by providing amino acids, carbohydrates, and/or other ingredients – during the workout itself – to enhance blood flow, to boost oxygen delivery to working muscles, and to kick-start recovery. 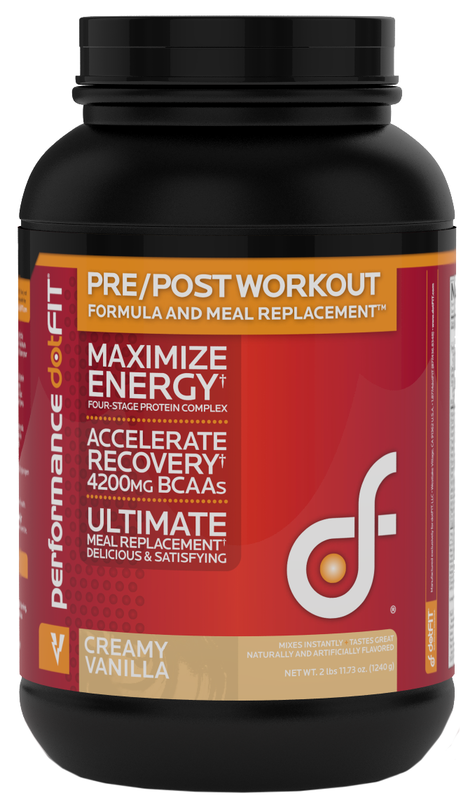 This Pre/Post Workout Formula & Meal Replacement contains well-researched amounts of carbohydrates, protein and fat in a form that can be rapidly digested before and immediately after exercise. 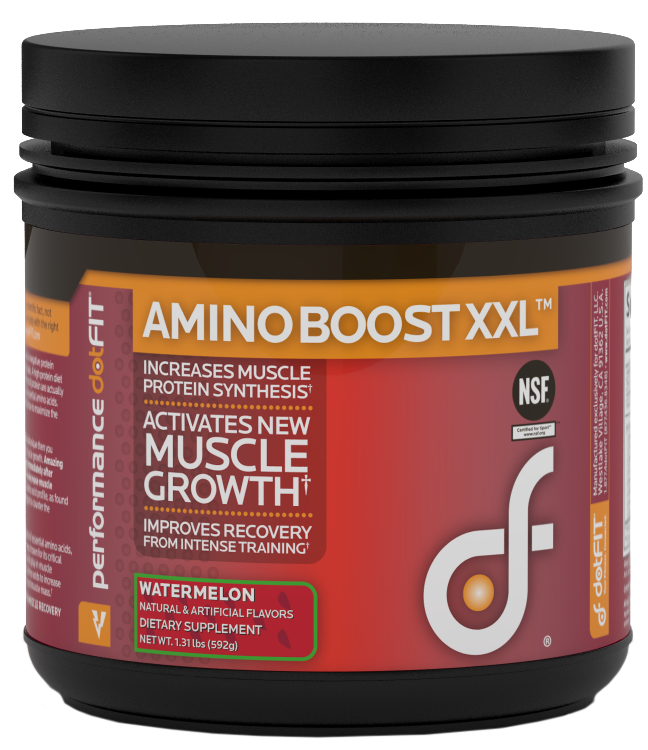 AminoBoost XXL is a blend of amino acids that minimizes muscle breakdown and maximizes growth, helping you build lean mass (or preserve it when training hard or in a calorie deficit). Another great essential amino acid formula in powdered form, it offers more than just BCAAs and has been shown to have positive effects on development of lean body mass, exercise capacity, aerobic metabolism, and support of mitochondrial growth. It's great for use during workouts. While strength and endurance training and competition promote a host of physiological benefits, both types of exercise stress the body. Fortunately, the body is designed to respond to this stress by providing a short post exercise period designed for recovery. Well designed post-exercise carbohydrate – protein supplements can help both support training as well as accelerate this recovery process. An excellent whey-based recovery product containing fast-digesting protein and carbs, and as other unique ingredients: tart cherry and lemon verbena extracts. Free of artificial colors, sweeteners, or flavors. An excellent plant-based recovery product containing fast-digesting protein and carbs, and as other unique ingredients: tart cherry and lemon verbena extracts. Free of artificial colors, sweeteners, or flavors. We believe continual, low dose, creatine supplementation may be important for good health as well as athletic performance. While creatine has been discussed in the athletic context quite extensively, it has some amazing regenerative effects on all tissues of the body including brain. 3-5g per day is recommended. This creatine product comes in a raspberry lemonade flavor and is a delicious new way to get your creatine. This, as with all dotFit formulas, is NSF-Certified for Sport. This product contains creatine, glutamine, glycine, and beta alanine in capsule form. The unique combination of ingredients has been shown to increase exercise intensity, training volume, and lean muscle mass above and beyond the effects of supplementing with creatine alone. Fish oil is rich in DHA and EPA, two powerful fats responsible for things like: increased metabolic rate, improved fat burning, and reducing our risk for a host of diseases (cardiovascular disease, cancer, and diabetes). For coaching clients without contraindications, we generally start with 1g of total fish oil per % body fat for 2 weeks. Then we have them cut back to ½ g total fish oil per % body fat for a few more weeks. Then we cut back from there as necessary. 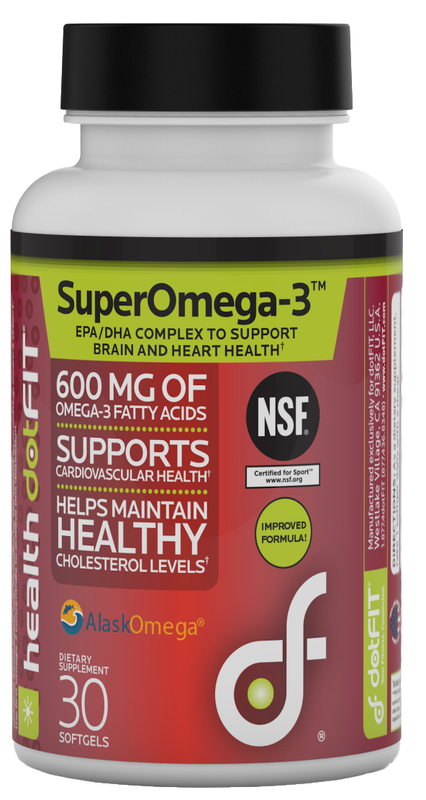 The Super Omega 3 Fish oil contains pure essential fatty acids EPA (360mg) and DHA (240mg) in capsule form. High in EPA and DHA, this liquid product comes in great-tasting raspberry lemonade, contains astaxanthins for antioxidant support, and is extremely pure. This excellent product contains a high concentration of EPA and DHA and is in liquid form. 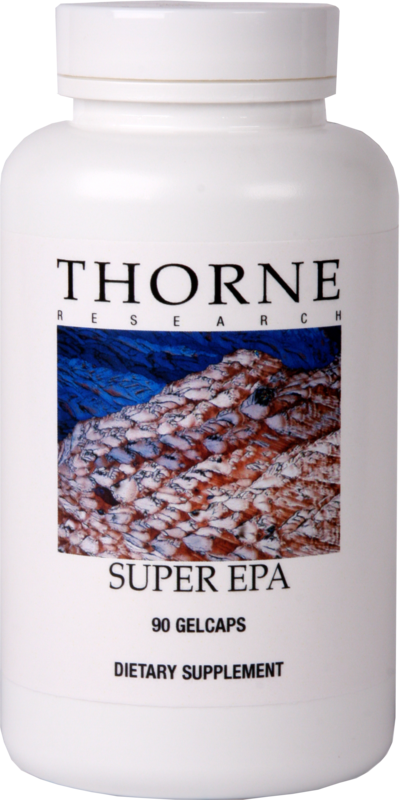 Another excellent Thorne Research product, this one provides fish oil in capsule form and is free of heavy metals and toxins. It also contains peppermint oil for a more pleasant taste. Multi-vitamin supplements have been endorsed by the most respected medical organizations in the world for their ability to help reduce the risk of nutrient deficiency. Excessive vitamin supplementation isn't necessary. However, having a daily multi very well might be. The dotFIT ActiveMV formula is specifically designed to meet the demands of active individuals. 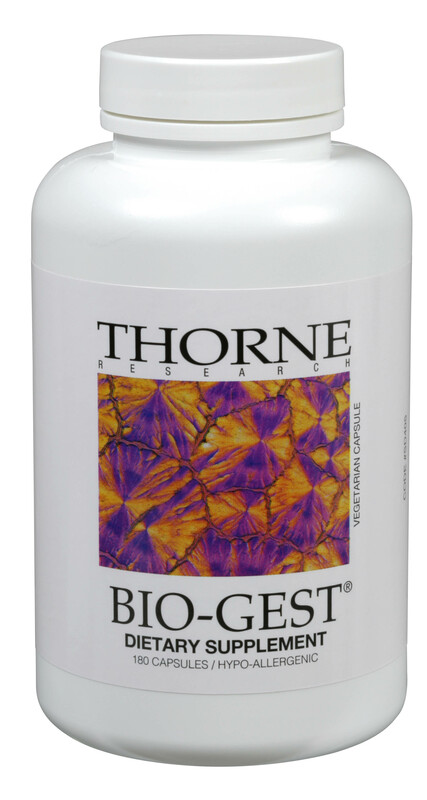 Additionally, this formula contains doses of antioxidants at the higher end of the optimal range. An excellent multi-vitamin choice. Formulated with the preferred forms of vitamins and minerals, this is actually two unique formulations. The AM formula is designed to support daytime energy, while the PM formula is designed to support better rest and recovery in the evening. multi+ is a convenient daily multi-vitamin with a full array of high quality and easy-to-absorb vitamins and minerals. Probiotics and digestive enzymes act as a powerful one-two punch for folks with digestive complaints and inadequate gut health. (Note: if you haven't been exercising regularly or paying attention to good nutrition, then that's probably you). UltraProbiotic contains a minimum of 35 billion viable cells per serving. This eight strain proprietary blend supports and nurtures good intestinal flora for a healthy digestive system. This is a proprietary blend of three human-derived strains: Lactobacillus gasseri, Bifidobacterium bifidum, and Bifidobacterium longum. Each dose delivers 5 billion CFUs in an acid-resistant capsule to ensure delivery to the intestines. Pro-X10 is an advanced probiotic formula that helps reduce bowel inflammation, promote regularity, boost immune health, and restore a healthy intestinal lining. This product has been formulated to aid in the breakdown of food to macro- and micronutrients so they can be absorbed and keep you on the path toward better health, improved fitness, and maximum performance. The AbsorbMax digestive enzyme formula supports nutrient breakdown and absorption, boosts digestive and immune health, and combats food intolerances. Please keep in mind that we have nothing to do with the ordering, shipping or delivery of these items. If you're looking for product-specific information or information about ordering these products, please contact the manufacturers or distributors directly by clicking any of the links above. Your favorite supplements or brands might not be here. It's inevitable that among the thousands of supplements and hundreds of companies that make each one, our lists may not overlap. Don't send us hate mail. This article is not an indictment of your favorite brand. Rather this is our preferred list of supplements and manufacturers, a list of supplements that we've personally had success with. We've chosen these because we like the ingredient lists, we like the quality control, and we like the prices. There could be other products out there that meet our standards that we simply haven't used. Besides, it'd be impossible to review every single product on the market. This list represents the supplements we MAY use in certain circumstances. It's important to know that each supplement or grouping is used for specific circumstances. In other words, few of our clients will ever be on all of them at once! So don't think that we're suggesting you should be taking all of these. Rather, this is a list of supplements that we draw from when considering what one of our clients might need. If a supplement category isn't on the list, we probably only use them in special situations. For example, we do recommend some sports supplements for some of our athletes in specific situations. However, these are needs-based and that's why they're not listed here. The health and fitness world can sometimes be a confusing place. But it doesn't have to be. Let us help you make sense of it all with this free special report. In it you'll learn the best eating, exercise, and lifestyle strategies – unique and personal – for you. Click here to download the special report, for free.